A valid passport is required. Visas can be obtained at all points of entry and at embassies. We strongly advise that you take out comprehensive insurance which includes coverage for medical expenses, injury, delays, loss and damage to property and death. Africa VIP Travel will not be held responsible for any such claims. Africa VIP Travel requires a 25% deposit at the time of booking. The balance is due six weeks prior to departure of the trip. The respective laws of the land govern all persons carried in the company’s vehicles, and all claims are subject to the jurisdiction of the court of Tanzania. For discounted airline tickets through Africa, we have a list of travel agents we will recommend. If you aren’t sure how to do the booking of your flights, contact Africa VIP Travel and we will be happy to link you with one of the travel agents. Africa VIP Travel will gladly make round-trip airline reservations for you from your hometown to Kilimanjaro International Airport in Arusha, Tanzania. Travel to Arusha is normally on an airline that connects to a city where you can fly KLM to Arusha via Amsterdam. Due to the infrequent service and heavy demand for KLM flights to Kilimanjaro, we strongly suggest you book your tickets months in advance. Full payment for airline tickets are due 7 days from the time of booking. Visitors traveling to Tanzania will need a valid International Certificate of Vaccination. Refer online to the CDC and/or health department guidelines for current required and recommended vaccinations for Tanzania. In larger cities health departments will administer these vaccinations. 1. Climbing Tours can be combined with a Wildlife Safari. However, a Climbing Tour cannot be combined with a Walking Safari. 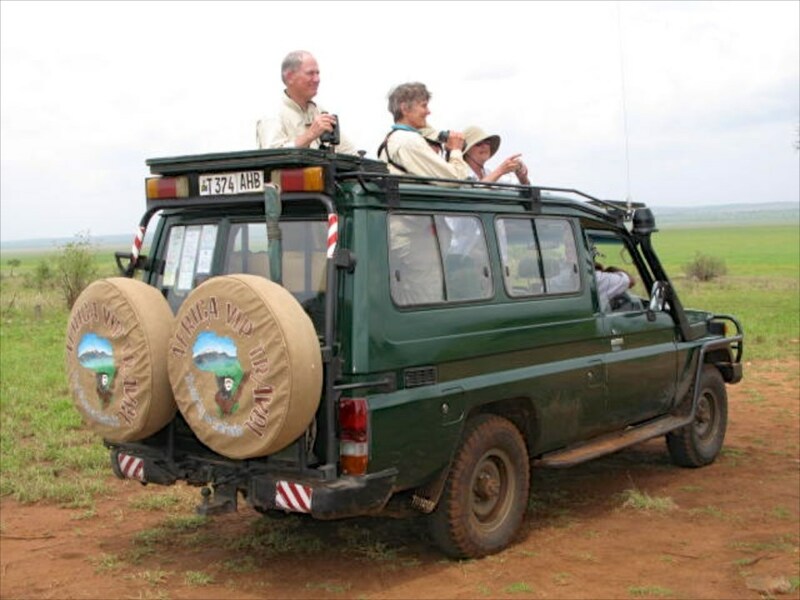 Also, it is possible to connect a Walking safari and a Wildlife Safari — with the Walking Safari after the Wildlife Safari. However, this itinerary does not include climbing. A Zanzibar Island Tour can be added after any other trip itinerary. For your upcoming trip, there are lots of details we need to pass along — essential details like exactly what kind of clothing to bring, what immunizations are required or recommended, and how best to stay healthy on the trip. Some supplies are available for purchase in Tanzania, but it is recommended that you come with them. Light cotton clothes, woolen sweater or jacket, comfortable shoes, safari hat/cap, comb, camera, film, binoculars, telephoto lens, deodorant, insect repellent, sun block, sunscreen, toothbrush, toothpaste, Vaseline, moisturizer, soap, sunglasses, water bottle, Swiss Army knife, towel, toilet paper and heavy duty plastic bags. Our prices are not posted in our website, because we are flexible we would like to welcome your idea and options to discuss with us when planning your trip. Please drop us your email at info@africaviptravel.com to discuss, options and general trip arrangements. We think email is the best way to start communicating. Payment can be made to Africa VIP Travel Ltd at NBC Bank Ltd via bank transfer. We also accept payment on Visa and MasterCard as well as American Express, with an additional charge of 5% to the bank for the payment charged on the credit card.